If you’ve been told you might not have enough bone for dental implants, do not despair. At Bridge Dental & Implant Clinic we specialise in bone augmentation; a treatment that can replace your lost bone. When we lose a tooth, the body begins to re-absorb the bone in that area. After a while, there’s not enough bone left to hold implants. If the bone under your gum is not tall enough or wide enough, bone augmentation can is the solution. Augmentation is simply a scaffold for new bone to grow on to. Find out more about bone augmentation treatment – book your free consultation at Bridge Dental & Implant Clinic in Derby. 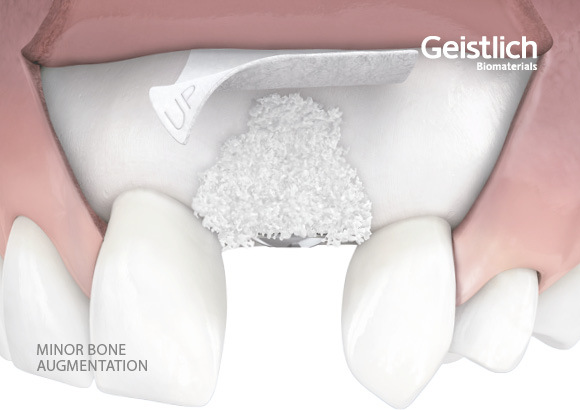 This technique improves the site of your implant by encouraging new bone growth. Your dentist will do it at the same time as placing your implant. You’ll be unaware of the procedure apart from it taking a few extra minutes of surgery time. The bone augmentation process has 4 steps. Everyone is different, and your dentist will adjust the treatment to ensure you get the best results. You’ll visit Bridge Dental & Implant Clinic and meet our Treatment Coordinator. They’ll discuss bone augmentation and dental implants with you. Your next appointment will be with your dentist. A CT scan gives your dentist a 3D image of your jawbone. They’ll use the scan to determine the treatment you’ll need. Your dentist will give a local anaesthetic to numb your mouth in the area of your bone graft. 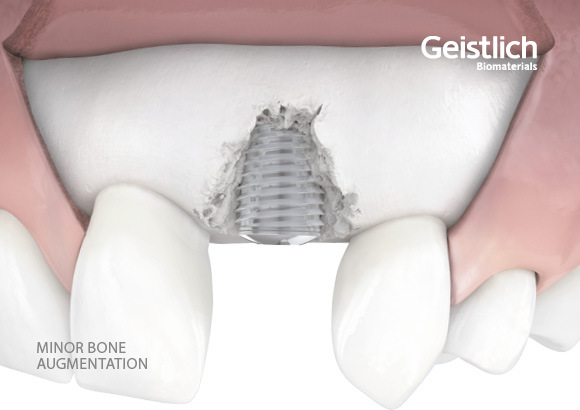 New bone takes 3 to 12 months before it’s ready for dental implants. The more bone you need, the longer it will take. Once your new bone has grown and is strong enough, you’ll return to Bridge Dental & Implant Clinic so your dentist can fit your implants. A sinus lift is surgery to add bone to your upper jaw near your back teeth. When we lose a tooth, the bone under our gum starts to recede. This bone loss can cause the floor of our sinus cavity to drop into the gap left by the missing tooth root. Your dentist may need to put your sinus floor back in place before you have implant surgery. To do this, they’ll add a bone substitute to your jaw and the maxillary sinuses either side of your nose. As part of the procedure, your dentist will move or “lift” your sinus membrane to make room for the new bone. We have a nerve running along our lower jaw called the inferior alveolar. It gives us the feeling in our lower lip and chin. If you’ve lost a lot of bone, placing an implant without damaging this nerve might be impossible. An oral surgeon can move the nerve to one side by drilling a small hole in the bone. As this technique carries the risk of nerve damage, we rarely use it. The success rate of bone augmentation is very high. But sometimes, the graft material doesn’t integrate with existing bone and develop a blood supply. If this happens, implants won’t attach to the graft because it’s not live bone. Bone grafts can fail in any patient. But it’s more likely if you smoke or have certain medical conditions.